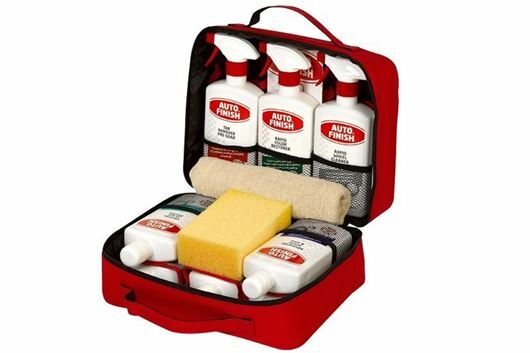 Car detailing company Auto Finish has introduced an all-in-one valet kit containing a full set of products from glass polish and wheel cleaner to a cloth and a sponge. Sold separately the full set would cost £25 more than the £39.99 RRP. In total the set contains 10 items, listed below.